Conferences at The Three Salmons at Three Salmons Hotel01291 672133work Conference CentreIf outside space is required for "breakout" meetings, then we are able to provide use of the garden to conference clients and there are numerous other opportunities for outdoor activity in and around the town. The river walk is just a hundred yards away and offers the chance of diversions to add your personal touch to business meetings. There is ample parking on site and a free car park is only 100 metres away. 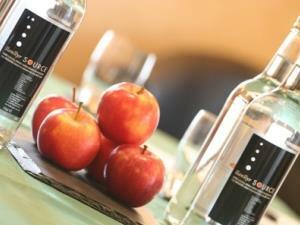 Special diets can be catered for and a private bar close to the meeting rooms is also available for client use. We can liaise with you to offer fishing, walking, kayaking and other pursuits nearby to help with planning. Can accommodate 120 people theatre style or 40 as a boardroom. Adjoins the Lantern Room and can be used in conjunction with this as a bar or for additional meeting space. As a separate private meeting room the Bridge Bar can accommodate 25 theatre style, or 20 board room. Can accommodate 20 theatre style or 10 board room style. Can interconnect with the Bridge Bar. Both the Bridge Bar and the Apprentice Room can be used for private dining if required. If outside space is required for "breakout" meetings, then we are able to provide use of the garden to conference clients and there are numerous other opportunities for outdoor activity in and around the town. The river walk is just a hundred yards away and offers the chance of diversions to add your personal touch to business meetings.